Are you and engineer looking for a job in NASA? Have you ever dreamed of working on a space station, on another planet or maybe Mars? Here is your chance to find a job in NASA. 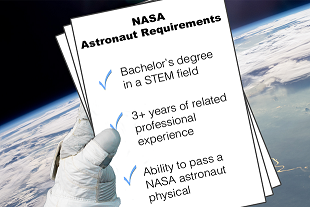 NASA has announced that engineers are required for next batch of astronauts in a recent press release of NASA. Along with many other vacant posts of scientists, doctors and pilots, engineers are also required! As we all know that NASA is working on its next mega project i.e. establishment of human life on Mars. NASA plans to send astronauts to Mars till 2030. "This next group of American space explorers will inspire the Mars generation to reach for new heights, and help us realize the goal of putting boot prints on the Red Planet," said NASA administrator Charles Bolden on the NASA website. "Those selected for this service will fly on U.S.-made spacecraft from American soil, advance critical science and research aboard the International Space Station, and help push the boundaries of technology in the proving ground of deep space." This is an exciting job opportunity for all engineers from all over the world who are thrilled to work in an adventurous atmosphere. When we talk about adventure, there is nothing better than NASA, space crafts and space stations. How to apply for a job in NASA? NASA will accept astronaut applications between mid December and mid February. Final and successful candidates will be announced in mid of 2017 according to the agency. 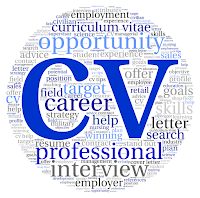 Applications can be submitted at USAjobs.gov, the federal government's job listings site. A bachelor’s degree is required but advance degree will get a preference. All further training about space exploration and space machines will be provided by NASA at best institutes of the world. Successful candidates will be required to pass physical fitness test of NASA. If you find this job interesting for you, please tell us your views in comments section. I would like to hear from all engineers if they are excited about this or not. Many students may ask what will be average salary of an engineer working in NASA? I am not sure what it will be but i am sure no other department will offer you a better salary than NASA. So here is your chance to represent your college, country and family in NASA as an engineer. Just g ahead and apply for this job. Fortune favours the brave. There is no age requirement for job application in NASA, although the average age of astronauts and engineers working at NASA has been 34. Military or armed forces experience is also not required. What is required is skill and knowledge. Candidates must also pass NASA's spaceflight physical fitness tests. NASA hires some of the very competitive engineers throughout the year. Just keep on looking for latest job opportunities on NASA official website. I also ready to work for NASA. Just follow the instructions/ guidelines given above to find a job in NASA.